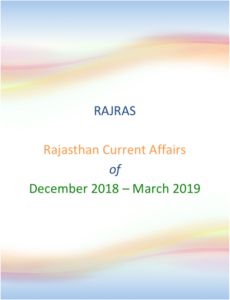 Government of Rajasthan is implementing a number of flagship programs and important development schemes, like Rajasthan Small and Marginal Farmers Loan Waiver Scheme. Mukhyamantri Nishulk Dawa Evam Janch Yojna, MNREGA, Swachchh Bharat Mission, Janni Suraksha Yojana, Social Security Pension Scheme etc. State Government aims to develop a talented pool of Rajasthan Yuva Vikas Preraks (RYVPs) who have a passion for working with all the stake holders, especially various segments of civil society and have the potential to become change catalysts. RYVP would be assigned task to generate awareness and enhance capacity to ensure that people are able to take benefit of government schemes. Planning Department is the nodal department and Directorate of Economics & Statistics is responsible for implementation of the program. RYVPs would play the role of facilitators for effective spread of development schemes, financial inclusion and decentralized planning in field particularly at blocks and district level. These RYVPs would be selected through inviting applications. This is purely an internship program and does not provide any type of employment or guarantee for any employment in future. 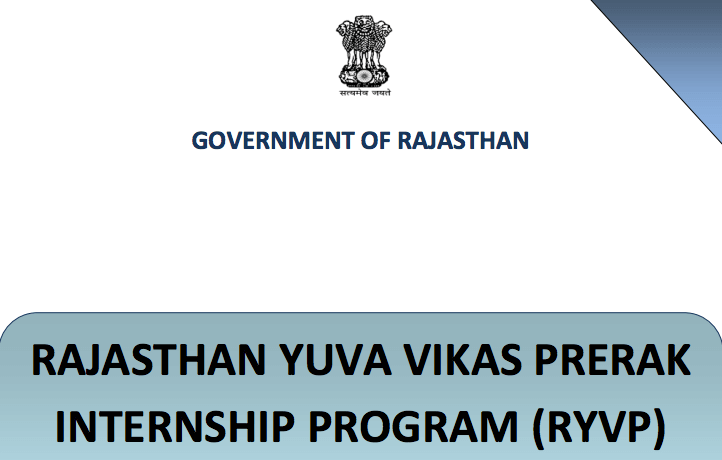 The Rajasthan Yuva Vikas Preraks would be taken on board for a maximum period of 2 years. They will be selected for an initial period of 1 year and the extension upto maximum period of 2 years would be based on their performance which would be assessed Periodically. The selected RYVPs will be given a lump-sum stipend of Rs. 25,000 per month. RYVPs shall be paid a lump-sum amount of Rs. 2,500 per month as communication allowance for use of their own laptop and mobile along with internet. 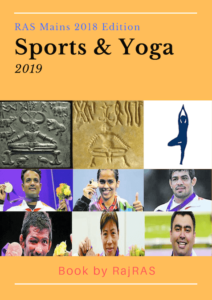 Application Window: Online from 15th March to 13th April 2019 – till 11:59 PM. Excellent communication/ presentation / intra-personal skills. 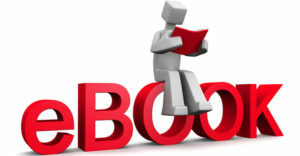 Well versed Information Technology skills (MS Office including MS Word, Power Point, Excel and other similar programs on alternative platforms). Age between 18-35 years (on 01.07.2019). Online Application with a Statement of purpose (SoP) for joining this program (not less than 400 words). Based on Application shortlisting will be done and selected candidates will be called for Group discussion and personal interview by PMU cell of Directorate of Economics and Statistics.